The story begins once upon a time with a note and a beat. Kaare had a desire to create music with integrity - music that could reach the hearts of people. For months he sat alone with his computer and guitar, but something was missing? As luck would have it and as it have happened time and again in the history of time, a friend who knew a friend who had a neighbor who had a friend… and somewhere down the line Kaare found Signe. Signe was a girl whom at the time had almost given up singing, besides on the empty streets, due to the fact that she was too shy. These two quite different characters sat down together and something magical and mysterious started to happen. This was the beginning of what was to become known as the band Inouwee. During the past three years Inouwee has spent continuously making songs and developing their music. They are growing as they keep playing concerts, on both big and small venues, and so is their fan base. I Inouwee isn't just music; their homemade videos on YouTube have gone worldwide, and their beautiful visuals live make the audience dream away in the world of Inouwee. The lyrics express the thoughts and experiences of the duo’s personal lives throughout the past three years. Their music is reflecting the matter of life, death, loss, hopes and ambitions. 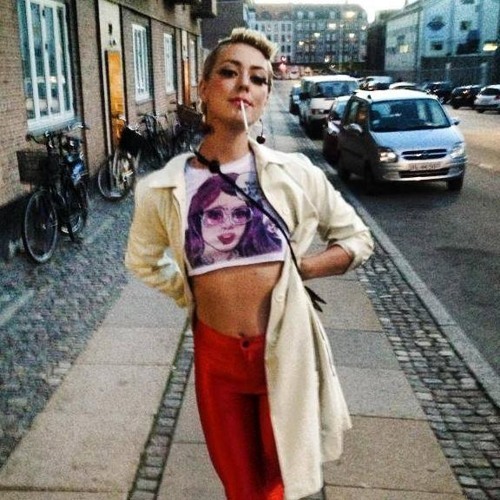 Signe's soft and honest vocal, combined with heavy beats and Kaare's melodic guitar and keyboard, creates a genre somewhere in between trip-hop, indie, pop and electro. The music is authentic, emotional and honest. Inouwee is the story and journey behind the duo’s every heartbeat, which reflects in the unique universe that their music creates.